The Uganda Medical Association (UMA) has temporarily called off a strike that had paralyzed services in government health facilities across the country. The doctors laid down their tools on November 6 to protest against low pay and poor working conditions. The decision to halt the strike was declared by the National Executive Committee of the UMA at a meeting held at Silver Springs hotel. Dr Ekwaro Obuku, the president of the UMA asked doctors to resume work between now and December 16, when they expect to conclude negotiations with the government on the demands to improve the general welfare of medical personnel. “We have talked to government and they have assured us that consultations to address our demands are going on”, said Obuku. A total of 113 doctors out of 205 doctors who attended the general assembly voted to suspend the strike. 76 voted to continue with the strike while six abstained. “The general assembly voted in favour of suspending the industrial action, meaning doctors will return to hospitals to attend to patients as soon as possible. However, we are aware government will give us feedback on December 15 and doctors are saying on 16th December is when the suspension of industrial action will be lifted automatically”, Obuku said. Dr Obuku called for respect during the ongoing negotiations between the two sides. “Ministry of Health, you’re very quick to harass doctors yet you’re doctors. Please hold your pens, we have finished business with government, we want to take further to Parliament, State House etcetera until we see that the key issues are handled. We want to see this Shs 41 billion in reality that supplies are being taken to hospitals. It is useless for doctors to return to hospitals without nothing to work with. This is key. We have seen patients dying,” he added. The medical officers laid down their tools about three weeks ago demanding that a senior consultant doctor or professor be paid Shs 48 million; provided a five-bedroom house, 4.0cc vehicle and three domestic workers. The current rate is Shs 3.4 million for a senior consultant; consultant Shs 2.6 million, and a medical officer Shs 1.1 million. 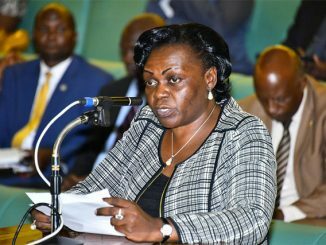 The doctors demanded salaries for nurses and midwives enhanced to about Shs 6.5 million besides providing them a three-bedroom house, 2.0cc vehicle and one domestic worker. 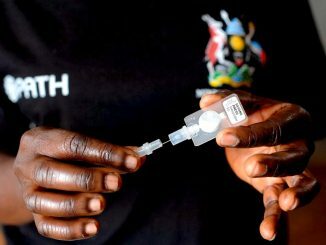 So far, the government has announced that Shs 4.2 billion has been released to the Ministry of Health to cater for allowances of senior house officers and an additional Shs 41 billion to cater for emergency supplies. It also reaffirmed that the entry level salary for doctors will be increased from Shs 1.3 million to Shs 5 million effective next financial year. Allowances for medical interns will also be reinstated to Shs 940,000, having been summarily slashed to about Shs 740,000. 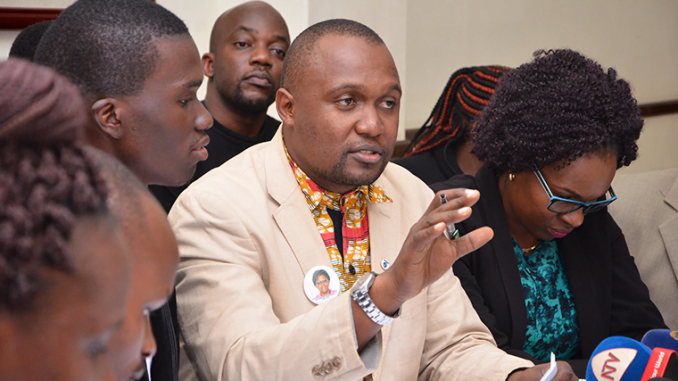 State minister of Finance David Bahati, who represented government at the meeting called for patience and understanding during the negotiations adding that doctors need to trust their leaders to work in their best interest in addressing their grievances. “There are people who are saying now-now-now…but that will not work. We need to be patient and trust each other.” He assured the doctors that government is willing to work with UMA to address all their demands. Bahati pronounced that government and the doctors collectively realized that the challenge of availability of medical supplies is a result of shortfalls in the supply chain which is going to be reviewed in order to ensure steady supply in all facilities. However, the minister expressed reservations on the suggested disbandment of the State House Health Monitoring Unit, saying that the matter requires a comprehensive process before a decision is taken. He asked doctors with complaints on the operations of the unit to lodge them within the 10 days in the office of the security minister. However, Dr Derrick Obumba, a leader of interns at Hoima hospital says they will only call off the industrial action if government assures them in writing that their grievances will be addressed.